Why is it that many of us can recognize the Spice Girls’ “Wannabe” or Roy Orbison’s “Oh, Pretty Woman” from the very first notes? Why doesn’t country star Mel Tillis’ speech impediment affect his singing? Why do we hear some sounds as music and others as noise? Why do we disagree about which is which? And how exactly does music make us feel happy or sad? Such questions are the province of music cognition, a field of study that harnesses musicology, psychology, neuroscience, and other disciplines to understand music’s workings in the brain. The field has blossomed in the last 20 or 25 years, says Bill Matthews, Alice Swanson Esty Professor of Music — even as cognitive science, in general, has been redefined by sophisticated neurological scanning capabilities and other technological advances. Bates is humming along with this fascinating field. 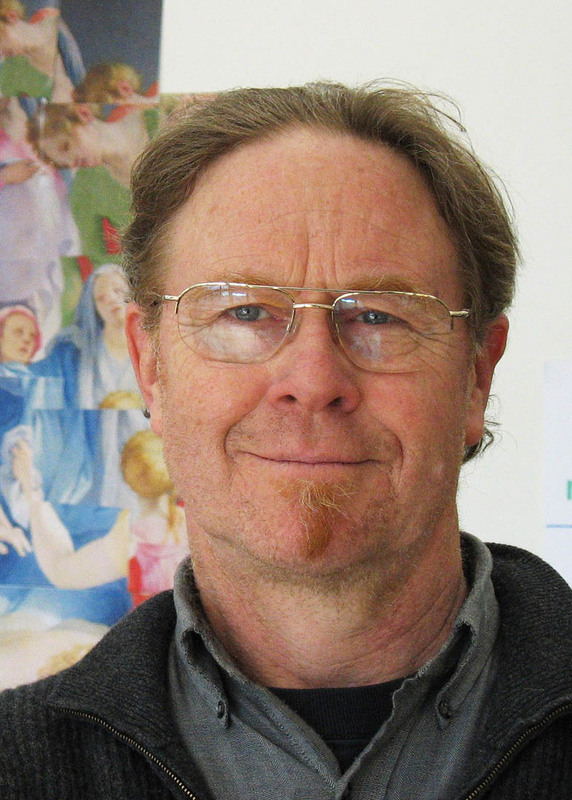 Matthews has introduced the topic into the music theory curriculum over the last several years, even developing a textbook. Associate Professor Gina Fatone’s research lies in the intersection of cognitive science and musical experience. 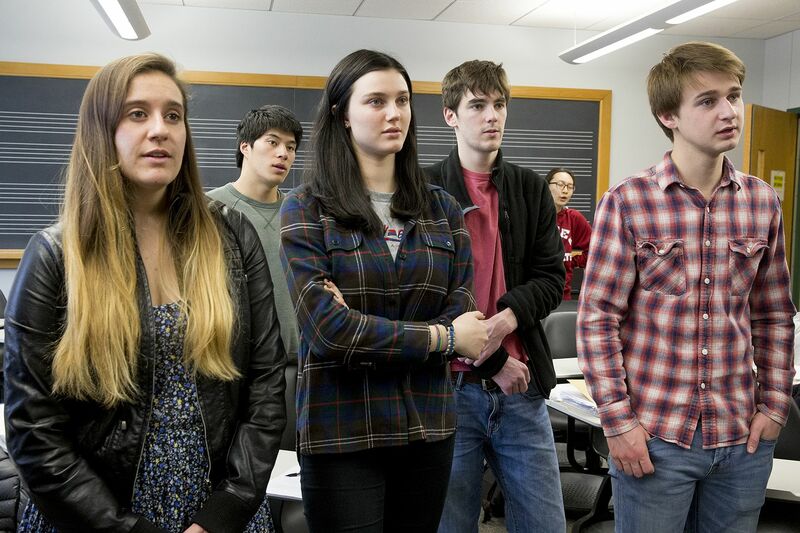 Their colleague James Parakilas, James L. Moody, Jr. Family Professor of Performing Arts, designed a course called “Music and Mind” that has become one of the music department’s most popular offerings. And now Bates is taking steps to formally integrate music cognition into the four-course theory curriculum, thanks to a pedagogy innovation program funded by the Andrew W. Mellon Foundation. The college last year recruited a music cognition expert to help with that process: Janet Bourne, one of Bates’ Mellon Postdoctoral Fellows in the Humanities. “I wonder all the time while I’m playing how music works and what’s going on in my brain,” says trumpeter and pianist Grace Link ’19 of Montclair, N.J. Eager to study both music and neuroscience, she is taking Music Theory II this semester with Bourne, who has introduced a solid dose of music cognition into the course. Assigned to adapt a pop song to an 18th-century idiom, Will McPherson ’18 chose the Beatles’ “Girl” (Lennon-McCartney). Bourne, who earned a doctorate in music theory and cognition from Northwestern last year, has an active role in building music cognition into the curriculum. She’s collaborating with music faculty to create learning objectives and assessments, as well as an evaluation plan for the curriculum. She’s also bringing in top music theory and music psychology scholars to advise the department on the process. For the Music Theory II course, Fergus Scott ’17 adapted Carly Rae Jepsen’s “Call Me Maybe” (Jepsen-Ramsay-Crowe) to an 18th-century keyboard style. In her own research, Bourne focuses on patterns in music, how those patterns constitute musical conventions (think of the guitar introductions to “Oh, Pretty Woman,” the Beatles’ “Day Tripper,” and the Temptations’ “My Girl”), how those conventions relate to conventional patterns in language — and how our minds categorize both types of convention. She also looks at the role of analogy, or the functioning of shared relationships, in our comprehension of music. “There are some cognitive psychologists who would say that analogy is at the core of everything that we do,” Bourne says. But analogy as an element of music cognition hasn’t been deeply explored. One form of irony in language is to change the meaning of a concept by changing the context in which it’s used. The same applies in music: Imagine a blues song in which the singer’s Christmas is spoiled because his lover left him, and then he quotes “Jingle Bells” in his guitar solo. That’s a lonely one-horse sleigh. But, through readings and class projects, Bourne is also explicating not only the musical vocabulary of Mozart’s time, but relevant cognitive practices. “I’m trying to connect this to the reasons that some 18th-century practices are still used,” she says. Take cadences, those musical gestures that signal the end of a phrase. Bourne’s students heard music theorists’ explanations for the differing experiences of finality produced by different cadences. But she also had the class read about an experiment that tested how listeners, both musically trained and not, perceived various cadences. “The experiment shows that you don’t need musical training to hear most of the cadences as closing gestures,” Bourne explains. 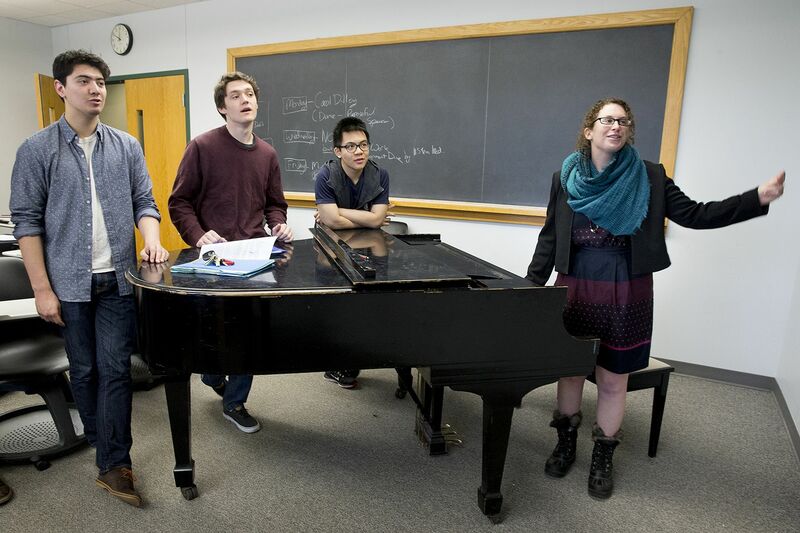 Popularity with students is just one of the arguments supporting a systemic role for cognition in Bates’ music theory offering. More objectively, “it makes a better-rounded theory structure,” says Maddie McLean ’17, a double major in biochemistry and music from Hood River, Ore.
Music cognition’s power to connect with other fields is obvious. In last fall’s iteration of “Music and Mind,” Jim Parakilas and his students roamed a range of topics that extended from music therapy to whale song to music and infant development. Another benefit, says Bill Matthews, pertains — in a keenly liberal-arts manner — to student intellectual development. “This has to do with what’s called metacognition,” he says. Ian Clarkson set The Temptations’ “Papa Was a Rolling Stone” (Whitfield-Strong) to an 18th-century idiom. 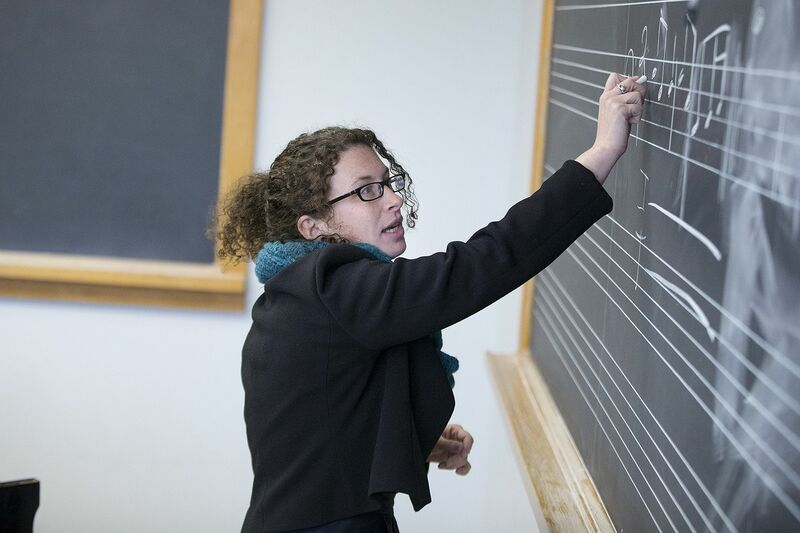 Bourne’s work with the music theory program, her music department colleagues hope, could be the beginning of a broader infusion of psychology into the department’s curriculum.